Manual or Electric Meat Grinder – Which One to Choose? Does thinking of various mouthwatering snacks like a keema burger or a chicken roll make you drool? Then a meat grinder needs to be an indispensable part of your life! Well, if you are planning to buy one seriously, then you must already know that 2 types of meat grinders are available in the market: the electric meat grinder and the manual meat grinder. Both serve the same purpose but in a slightly different way as per the time and quantity is concerned. Are you whacking your brain in debating over which one to use between an electric and a manual meat grinder? Well, in that case, you can read through this article on manual vs electric meat grinder. And after closely analyzing the points you can then decide which one to invest your money in. Compact design – As compared to electric meat grinders, a manual grinder occupies less space and is easy to handle. 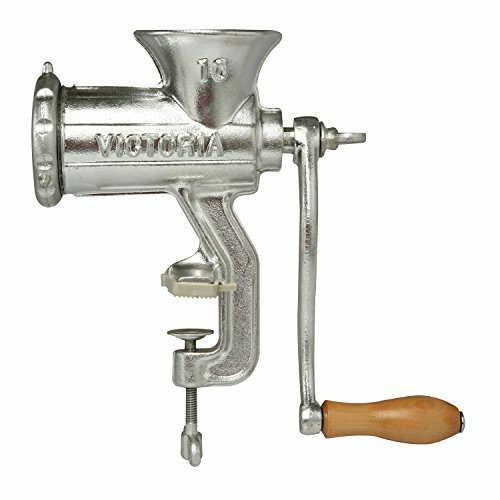 If you have a small kitchen space you should definitely go for a manual meat grinder. Perfect for domestic use – Manual grinders are ideal for use at homes. Most of the electrical grinders are used for commercial purposes like at restaurants where large amounts of meat need to be ground on a daily basis. Needs a lot of muscle strength – Using a manual grinder is an upheaval task. It requires a lot of your energy and strength as you have to twist and strain your arms while putting the meat into the grinder. It takes a great toll on your energy levels and can completely wear you out. Functions slowly – In the conflict between the best manual and electric meat grinder, the electric grinder often passes the test as a manual grinder requires a lot of time to grind the entire meat. Due to the huge amount of time taken by a manual grinder, the meat inside can warm up to an unsafe temperature. Works fast and hassle-free – Pouring the meat down the feeding shuttle is all that you need to do. The rest of the work will be completed by the grinder itself that too within a short span of time. You also do not have to crack your brains and waste your time in trying to assemble all the parts together unlike a manual grinder. You just need to plug in and it will run smooth and brisk. Is hygienic – Want a grinder which spares you the horror of spilling your hands with the meat juices? Go for an electric grinder then. Unlike in a manual grinder here you don’t have to crank the grinder on your own. The process of grinding by an electrical grinder is safer and cleaner. Can grind huge amounts of meat – If you have a big function at home with a large number of guests coming in for lunch or dinner then you must use an electric grinder. With a manual grinder, you will not be able to grind more than 2 to 3 pounds at a time. This becomes difficult when you have to serve a large crowd. This is when an electric grinder works wonders. You can grind the huge amount of meat in one go and can use it again and again without any hassle. It will also not tire you out like a manual grinder would do. Thus, during family functions or large gatherings, it is always a wise decision to use an electric grinder. Consumes electricity – The best electric meat grinders consume a good deal of electrical power to function. So using one at home extensively will surely fetch heftier electricity bills at the end of the month. Is more expensive – A major disadvantage of an electric grinder is that it burns a hole in your pocket. It is expensive than a manual grinder and often people choose a manual grinder over an electric one due to the budget constraint. If you cannot afford to spend a lot you have to go for a manual grinder. In the debate between an electric grinder and a manual one, people often forcefully have to choose a manual one despite all the inconveniences due to its cost-effectiveness. Takes time if it has a problem: Since these kinds of meat grinders run with electricity, there may have faults with the machine. So, this is an extra headache to get it repaired couple of times a year. You must set a budget range in mind so that the seller cannot coerce you into buying something expensive that you don’t really need. Also, keep in mind that an electric grinder consumes a lot of power. Thus, with the cost of the grinder your additional electric bill cost which also encounters a sudden upsurge. So, plan your finances well before undertaking this investment. If you don’t need it for a big family function or a get together you don’t need to go for an expensive electric grinder. In that case, it will be a sheer wastage of money. Keep the focus of your exact requirements and check the specs and features accordingly. While deciding to buy the best grinder, choose the brand wisely. Make sure you read the reviews of the particular item and then decide. It is always a fair idea to do a comparative study of all brands before a purchase. This will enable you to settle the confusion about which one to choose. So, now that you all well-armed with all the required information about different meat grinders simply head out to visit your nearest shop today. 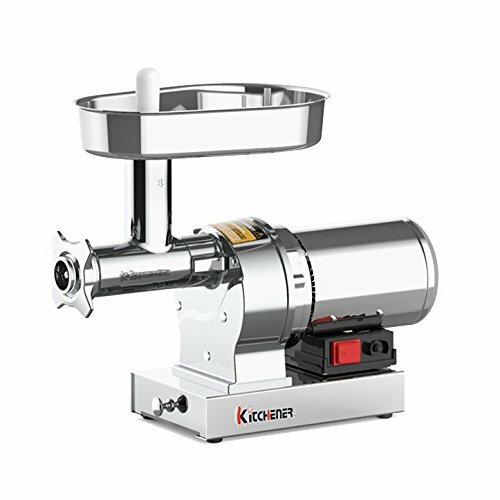 Buying the most suitable meat grinder model is bound to be a cakewalk for you!